Only a handful of websites make a decent income from their monetization streams. And these income levels vary too. You want to be as accurate as possible with your revenue reporting. Revenue report accuracy is critical to a website sale; 40% of reports are inaccurate, and 20% are downright fraudulent. Adding precise numbers in your reports backed up by screenshots and videos will help make the deal look a lot more trustworthy for the potential buyers. When creating your revenue verification screenshots or videos, make sure potential buyers can understand and independently verify your claims. and other relevant information concerning your website’s assets and liabilities. When creating your videos or screenshots, as a security measure, censor texts you enter into your login box. Albeit, for most online accounts, your credentials won’t be exposed anyway since your password text is hidden when you enter them into the password text field. The rule of thumb here is simple. Give all the details you can WITHOUT giving away your password or any information that exposes you to a cyber attack, or gives away any trade secrets. Most sellers give screenshots that lack these necessary details. Here’s an example of a lousy AdSense screenshot below. The URLs and Page CTRs on this screenshot are all blurred out. And this screenshot has no date on it. You have no way to determine what earning periods this seller is displaying. And of course, this screenshot doesn’t look good. You can find more examples somewhere on this website. According to Bill Gross, the number one reason why startups succeed is timing. Gross explains that timing is more powerful than funding, idea, and other success factors. Just like startups, you must make timing your ally. Hence, when selling your website, you want to show your revenue with respect to time. Now, how do you apply the time factor to your revenue verification videos and screenshots? Here are basic timing rules to guide you. The more time passed on your revenue the better: Don’t limit your revenue verification period to just a few days or weeks. If your website’s earnings span one, two, three or more years, make sure to show it. This kind of detail assures buyers that you earn a safe and stable income. Show recent income data. It’s great to have income from a year ago, but buyers also want to see that your site earns money today. If you hide your latest income and traffic figures buyers will suspect that your site’s income and traffic has tanked. What Should Go into Your Revenue Verification Video? Using a step-by-step guide, let’s solve this concern of what should go into your revenue verification videos. Your revenue verification video should start with your account login. Just like in the image below, the account verification video started from the seller’s login. This is where to use time to your advantage. Show your viewers that your site has been earning a healthy income from a while ago. And that the website still earns income. Your potential buyers get the opportunity to compare what your video shows them with your profit and loss data. Searchers want to see the details of your account. Show them these proofs as they solidify your position and show off your authenticity. And other granular details related to the site’s revenue. Make sure the video is in fullscreen and captures every evidence to support that the site you’re on the one you’re verifying its revenue. All of these revenue verification video attributes come alive in the video below. The information you’d capture in your income verification screenshots and videos will depend on your site’s income stream or monetization source. 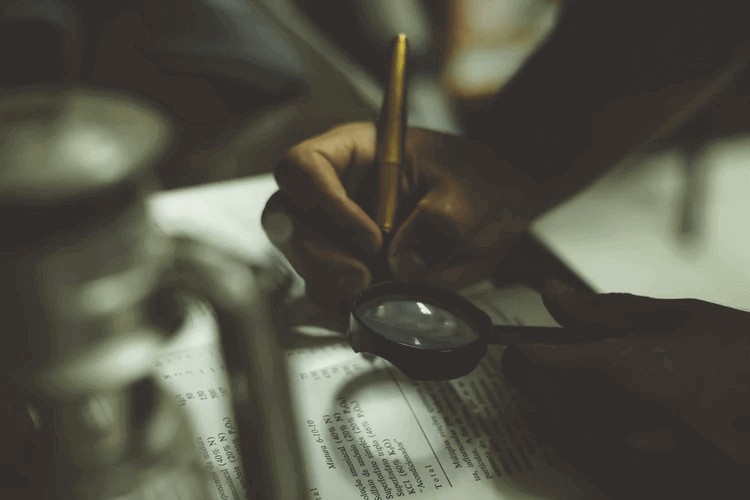 The first step to verifying your revenue is to be clear where they come from and what should go into their verification videos and screenshots. Of course, this list is by no means exhaustive. Ensure to factor in all your income sources. Warning: Do NOT use unrelated payment processor accounts, self-hosted eCommerce solutions or unknown affiliate networks for your revenue verification. Another crucial factor about your monetization is your payment processors. Since buyers will want to verify your accounts, you want to have video and image records of your accounts. Apart from verifying your income and income sources, these accounts help with verifying expenses. And of course, they help your buyers verify other costs they’d be incurring apart from buying the site. Buyers care about your expenses as much as they care about your income. And maybe even more than they care about revenue! There’s no point in buying a site that hemorrhages money every month and turns in nothing. Your prospective buyers want to be sure that your site’s revenue is above expenses or reasonable enough to command a buying decision. to other costs that significantly impact your expenditure. 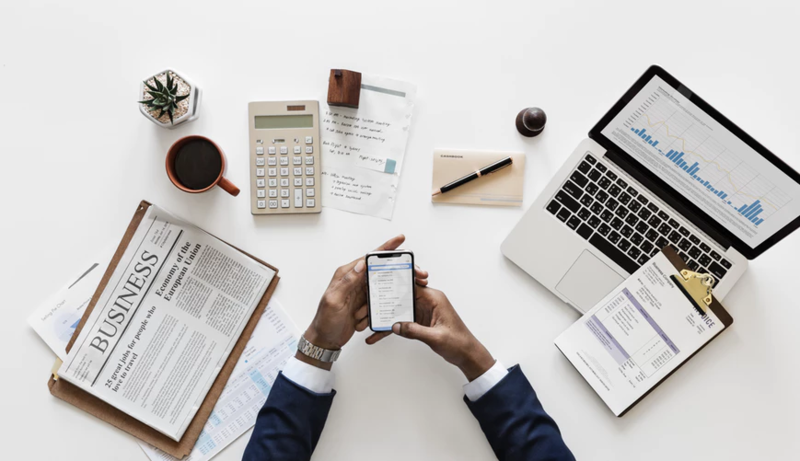 Depending on your business model costs relating to advertising and marketing, subscription services and payment processing can have a huge impact here. Do you generate traffic, leads and/or customers using paid promotion? Lots of successful websites rely on advertising and marketing efforts to generate revenue. How much do you spend via any of these channels? Do you run these promotions on an ongoing basis or intermittently? Do they influence revenues significantly or just a little? Depending on your website, subscription services can influence costs significantly. Stop or change subscription services that inflate your costs unnecessarily. Lowering your costs make your revenue numbers look better than carrying lots of expenses on your revenue. It’s almost always better to reduce your costs without inviting any negative consequences. If you offer money-back guarantees or allow refunds or returns (and most businesses do), then a fraction of your customers are likely using this offer already. This is a business cost you should factor in when doing your expense analysis. Just like every business, you collect payments from customers or clients. Processing these payments don’t come free; you’ll use one or more payments processing solutions. You probably use these services already; Stripe, PayPal and the like who take a fraction of your money as payment for processing payments for you. You should consider lowering your payments processing costs where possible. Minimizing how much charge you carry when you earn money boosts your profit and helps you sell your website for significantly juicier rates. Now that you know your income sources, payment processing channels, and business costs, what next? Well, it’s time to make revenue verification easy for your potential buyers. Use video, screen sharing, and screenshots to help them verify your income. Videos give your prospective buyers a rich revenue verification experience. For one reason, videos are practically impossible to fake. And these videos are now easier to make too. Creating your revenue verification video isn’t going to demand some unique skills or creative abilities. All you have to do is follow the steps below. That’s a sample record of income and expenses in a PayPal statement. Open your revenue records in your PayPal and/or AdSense accounts. You should also have your other payments or accounts records open if you use other payment processors. You may choose to use any relevant video application you’re comfortable with; think of applications like Loom or Screencastify. You can install and use their Chrome extensions. If you choose to use Loom but haven’t registered for the service, you can do that on their signup page. The process is pretty intuitive. Remember to install the Chrome extension. With Loom, you can choose from three video recording options. I guess you’ll earn more trust with your revenue verification if you use the screen and webcam option. You’d agree that seeing your income breakdown on your screen and your face at the same time trump seeing only either of them. For multiple income stream videos: When using the Screen and Webcam option, turn on the ‘Full Desktop’ option if you have multiple income stream pages to show your prospective buyers. That feature lets you move from tab to tab as you make the video. For single income stream videos: If you use ‘Current Tab’ the app will show the items on that tab only. Of course, it’s OK to stay on one tab if your income is from one source. Why show off items on your screen if you won’t be sharing anything apart from what’s on that tab? Make sure you guide your viewers with verbal explanations. Toggle your audio on to provide voice-over explanations as they watch your revenue verification video. This offers you the opportunity to sell them on salient points in your revenue analysis. Limit your browser tabs: Make sure your browser has ONLY the tabs you want to show your viewers. Having too many tabs on the browser is clumsy. You’re more prone to mistakes or time loss due to clicking around on irrelevant tabs. You can also create a revenue verification video with Screencastify. Install their Chrome extension. And then create an account by signing in with a Google account. Here’s how. Click on the ‘Sign In With Google’ button. And choose or add the email account you want to use when the popup box shows on your screen. Now you can set up the extension by clicking on the link as it appears in the image below. You can remove the Screencastify watermark and have access to other feature if you go for their paid subscription. Screencastify maintains a video tutorial library to help you get the best out of it. Here’s a video guide from them on how to record videos. When creating revenue verification screenshots for your website remember the points I raised earlier. Screenshots must be clear and the information on them detailed. Dates, URLs, income (apparently), graphs (to show trends and periodicity), and any other details that make your report in facts and figures. Here’s an example of a well-done screenshot below. 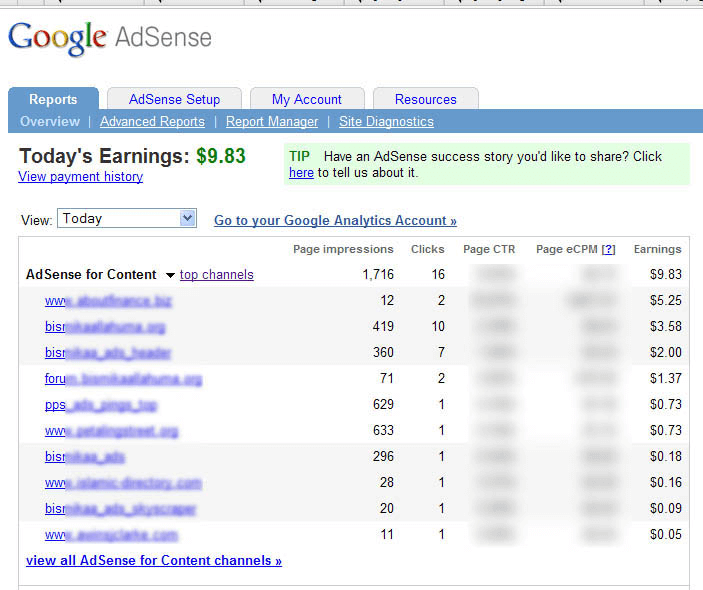 You’ll see the dates, earnings, website’s URL, a graph showing trends, and it’s earnings from an AdSense account too. You want your report showing from your earliest to your most recent earnings. The downside to using screenshots only for your revenue verification is that it misses the voice and authenticity of a video verification. It’s probably better that you use screenshots as a supporting revenue verification measure; not the only option for buyers. Video and screen sharing wins your buyers’ trust faster than having only screenshots. For screenshots, you can download and use Greenshot for your revenue verification screenshots. It’s easy and intuitive to use. The Screen sharing option is best used if you organize group appointments for prospective buyers. This is also an excellent option for a one-on-one meeting if the buyer is doing a final round of checks before committing. You can use one of many screen sharing applications. You may choose to use Screenleap or TeamViewer. Just download them and follow the instructions. You’ll receive a code which you’ll send to your prospective buyer to help them connect to you. For example, Screenleap gives you a 9-digit code to use. Screen sharing is probably the most trustworthy revenue verification channel. Encourage your prospective buyers to engage with you on a screen sharing session. The goal of verifying your revenue claims is to win trust from your prospective buyers. The more information you provide them, the easier they can trust you. Provide both videos and screenshots. And then, to deepen your prospect’s trust, invite them to engage with you on a screen-sharing session. Providing an excellent revenue verification experience could help your site sell for better rates!